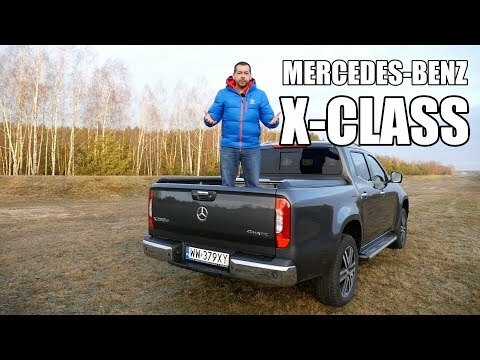 Mercedes-Benz X-Class is pickup truck. Nothing strange about it, because Mercedes does offer vans and trucks. 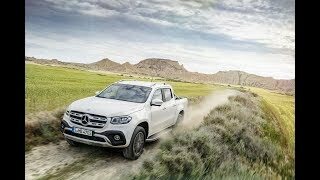 There’s also nothing extraordinary in the fact the X-Class was made in cooperation with Renault-Nissan-Mitsubishi Alliance. Sharing components or even entire cars across different brands is nothing new. 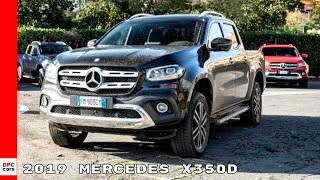 However whereas Nissan Navara is just a workhorse, I expect more from Mercedes-Benz. 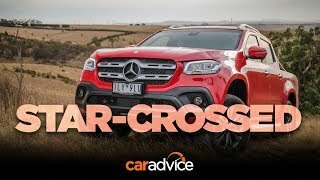 Does the X-Class have the X factor? if they had this in america i would buy it, im very sad it is not available will it ever be? 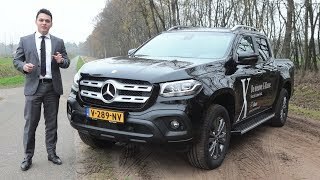 Should try the V6 full auto 4wd MB made X. And the manual locking bed is stupid. This is a pretty ugly truck as far as exterior. The interior is great but for a pickup pretty damn unnecessary and lack practicality. This is a strange looking truck overall. Basically, you are buying this only for the badge, and very expensive too. This truck looks almost identical to the older generation of the Nissan Titan. +Marek Drives but the Nissan Navarro has the body structure of the older model Nissan Titan. It's pretty much Nissan Navara underneath. Sliding window when you have a dog in the back is my guess. That's what I've bought the truck for. 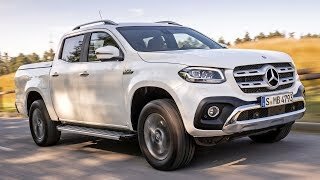 This is essentially a nissan navara. I was hoping that the would make something on the mb unimog dna or something to rival the toyota landcruiser v8 diesel. 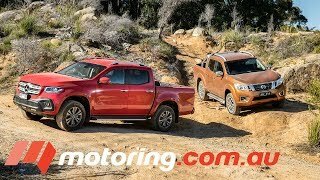 Id rather buy the hilux than this nissan. For the price Mercedes is asking , I'm to assume the seats has extremely comfortable car like seats............Well.......Does it? Please tell me it's luxurious. I mean comfortable . 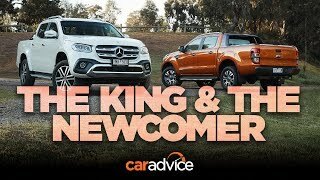 Not like a navara , much much more comfortable than a navara , because that's what I'm expecting!!! Love your review! You make cars interesting to me. The lil' window is for THE DOGS, silly. The workers have enough air out there ;). You sound like a German who has learnt English in England but lived in America. 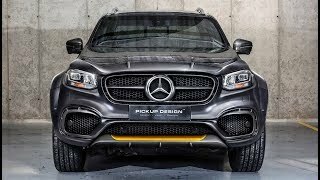 This truck must seen very pointless in Europe,but take a look at the markets Mercedes selected at launch and then it makes sense. 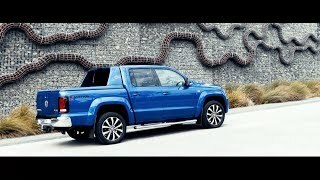 This truck would be a perfect luxury vehicle and top of the range in South America, Africa and Australia, pickup trucks like this one are used for everything: police cars, work vehicles, camper trucks, towing rig and of course, luxury sedans. 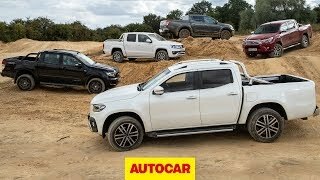 Their versatility is why these places are filled to the brim with Toyota Hiluesx, VW Amaroks, Ford Rangers, Nissan Navaras and Mitsubishi L200s. Totally agree, but I'm reviewing this car in Europe, where (as you said) it makes no sense whatsoever. Especially since it offers little more, than Mercedes badge. THIS IS NOTHING MORE THAN A FANCY, OVER-PRICED DATSUN!!! Any person willing to pay this idiotic price for a Renault / Nissan with a Mercedes badge is a nut case!!! 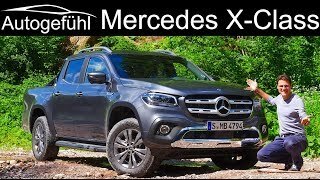 Mercedes dropped the ball, they should have made a true luxury pick-up, like one based on the g wagon, something unique to the brand, and not this me too thing. The sliding window is to have access to stuff inside the rear canopy. 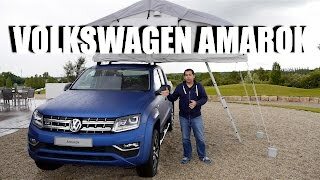 About 20 years ago cars in South Africa and Australia had hard canopies as accessories that would be open to the cabin. That sliding rear window has served me well! In the US, most truck owners tend to own detached homes. Most of us want to maximize the utility of these vehicles to handle towing, hauling, off-road activities and work! These pass-thru windows come in handy when attempting to transport 2x4s, 2x6s, 2x8s, etc.... That are too long (10'&12'ft) for most short bed trucks! I won't even look at a truck if it lacks this feature! The sliding windows is there so you can shoot people who are tailgating you. That way you don't break your window. 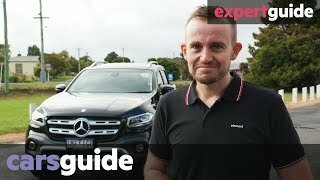 Disappointed in the quality of the interior, I expected it to be similar to that of the V-Class..
Not even close :( More like Vito. Just noticed that the test truck has no mudflaps. These are essential on pickups, they really are. They are also standard fit on many other pickups, such as the Ford Ranger and the whole Nissan Navara range. 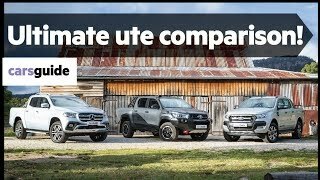 So Mercedes charge about 30% more than Nissan for the badge and dashboard, yet have the cheek to charge extra again for flaps, the load liner and the fourth and fifth year warranty, again standard on Navara. Let me think about that for a minute……………. Hmm! Not impressed! The interior storage, as you mention, is essential for this class of vehicle. I need a place for my phone, animal medicines and vaccines, syringes and needles for the same, paper records for the above and breeding records, head torches and wiping clothes and gloves for dirty hands. Here there is surprisingly little thought or provision for storage that I expect and get with my Ford Ranger. Did you have a look at the chassis and running gear? Did you notice the trailing arms on the rear axle? Made out of paper thin pressed steel. The chassis rails themselves? Typically Nissan and peppered with big holes around the rear wheel arch area especially in order to let dirt and salty moisture inside the box sections in order to rust them out for a finite and relatively short life. You don't get that with a HiLux, believe me. 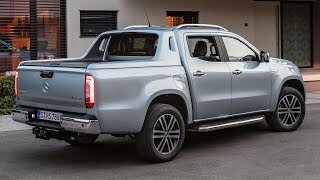 As you probably know, the previous model Navara is notorious for chassis that break in half just behind the double-cab. They rust terribly and the chassis is not particularly rigid, the combination of which causes total failures at between six and ten years of age. Nissan have been buying failed ones back with quite a generous allowance plus 20% off new ones in the UK, fair play to them. I doubt whether Mercedes would be so fair, but that is just my suspicion having dealt with them previously. 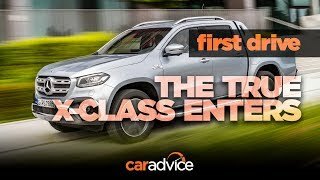 Mercedes-Benz X-Class V6 review: The one true X-Class?